Q. Tell us about the CFHI program you participated in. I had the pleasure of participating in CFHI’s program, Realities of Health Access & Inequities in Oaxaca, Mexico in April 2005 just before starting my first year of medical school. The program’s intent was for students to experience the differences between the Mexican culture of medicine and their home country. This was facilitated by weekly rotations (much the same as U.S. 3rd and 4th year medical school rotations) in various clinical settings such as tertiary hospitals, community hospitals, and a variety of outpatient clinics (pediatrics, general practice, women’s health etc). Q. What were your goals going into the program? How did CFHI help you in achieving those? Early in my medical training I came in contact with many Hispanic patients, many of whom traced their ancestry to Mexico. I knew the American medical culture very well, but knew next to nothing about the Mexican culture. Recognizing this as a large gap in my medical knowledge, my goal was to absorb as much Mexican culture knowledge as possible, in particular, the culture of medicine. CFHI’s program in Mexico was well thought-out and goal-orientated right from the start. From the home-stays that allowed me to assimilate into the Mexican family home life to the daily Medical-Spanish classes to the weekly lectures given by Mexican doctors, CFHI’s program helped me increase my cultural knowledge in the brief time that I was there. Q. What were the overall highlights of your CFHI experience? THE FOOD! I had no idea the culinary expertise that existed in Oaxaca. Every street side café offered the opportunity to take in the Mexican street life with some amazing prepared dishes. Going to the farmer’s markets with my host family was also a great way to experience Oaxacan community life and learn about how the food was prepared. Q. Who was the most inspiring person you met on the program? One of the patients I was following in a poor public tertiary hospital, who was about my age, was sadly injured in a motor vehicle accident, leaving him a quadriplegic and on a ventilator. During the week I was following him a nighttime storm had knocked out the electricity and the hospital generator failed. Our team in pitch blackness took turns hand bagging him until our hands got tired. I can’t begin to imagine how scared he might have been that night, relying on us to provide him each breath. It was quite inspiring to witness his mental toughness and I grew quite attached to him and continued to visit him even though I had moved on to my next rotation. Q. Did the CFHI program influence your career path? If so, how? Definitely, as a new physician just out of my pediatric residency I had many options for a first job. I could work in a busy private practice office and make a good salary, but that just didn’t appeal to me. I knew right here in the U.S. there was a large population of people who were over-looked and needed medical attention, especially undocumented immigrants from Mexico and the homeless population. Since finishing residency I have always sought positions that serve these populations. Q. What are you doing now? I have quite an interesting job. 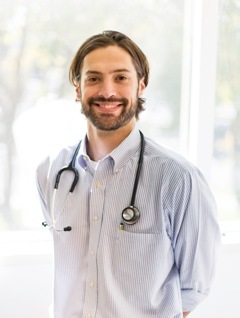 I work as a general pediatrician on a 35-foot medical R.V. 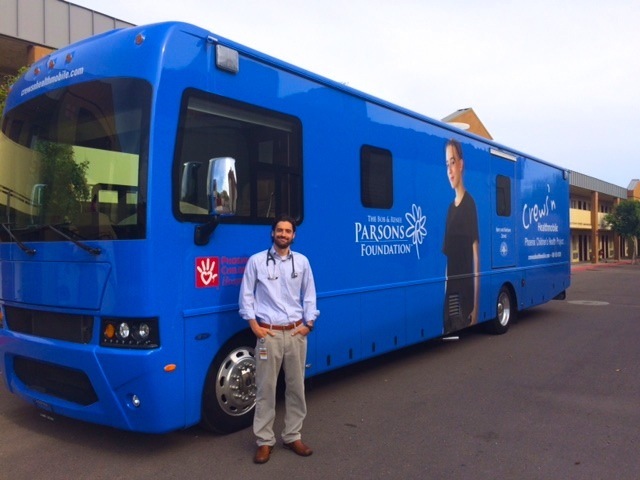 that travels around downtown Phoenix, AZ providing free medical care to the city’s shelters and homeless population. The medical R.V has two exam rooms, a small lab where I can draw blood, and even a small pharmacy where I can distribute medications. The program runs out of the Phoenix Children’s Hospital’s Home Youth Outreach program. Q. Do you have any advice for students who are thinking about applying or about to go on a program? Without a question it is a MUST do! No matter where you end up practicing medicine you’re going to come into contact with patients from a completely different cultural background. The U.S. and other Western countries continue to become more culturally diverse so having an ounce of cultural knowledge really goes a long way. Spending a month abroad in a program like CFHI’s will definitely increase your cultural awareness and make you a better healthcare provider. Plus it’s a lot of fun!!! Special thanks to Dr. Gary Kirkilas, Vice Chair of CFHI’s Alumni Advisory Board, for allowing us to interview him for this post. This entry was posted in Uncategorized on July 1, 2015 by Jessica Evert, MD.